One piece dressing. Does it get any better than this? Graphic of palm trees and sea gulls. 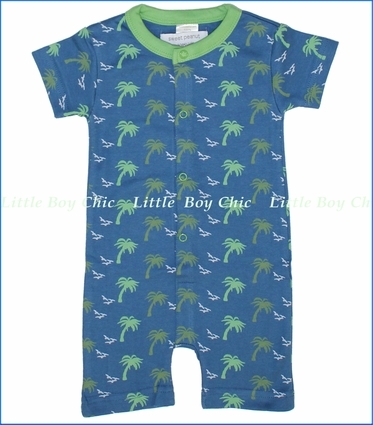 With short sleeves and short legs, your baby can spend his Spring and Summer days collected, cool and comfortable. The color palette speaks to good vibes, making it hard for you and your baby not to have a smile on their face all year round. Snap front closure.